Gro CRM, the popular Mac CRM app for Small Business, released a free iMessage sticker pack for iPhone and iPad users. The “Gro Guys” sticker pack includes 50+ fun stickers for Apple devices. 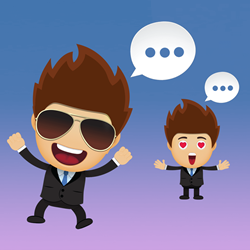 Download the free Gro CRM Apple iMessage sticker pack for your iPhone and iPad. Apple iPhone users are going to have a lot of fun with these 50+ free ‘Gro Guys’ stickers! These stickers will take your text message conversations to a whole new level.